Orange You Two! | Yobot Inc.
Lucy turned two in May (TWO!) 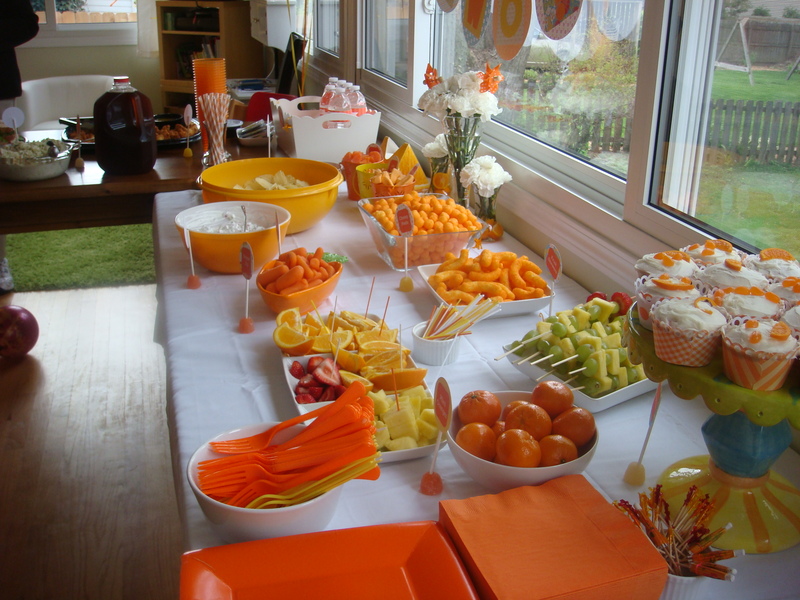 and we hosted a birthday party featuring the color orange. Orange was her favorite color, and when we asked her what type of birthday party she wanted to have, her response was “orange”. We looked high and low on the internet and party supply stores for ready-to-buy all orange party supplies. Found a few orange items, but not enough for a two birthday. 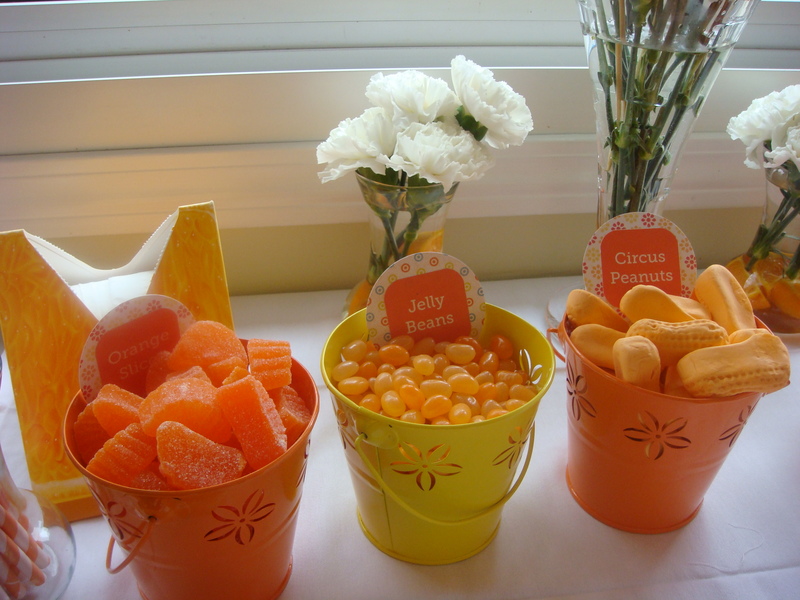 We came up with the theme “Orange You Two”, and incorporated that through a banner-style sign we used above the party food. 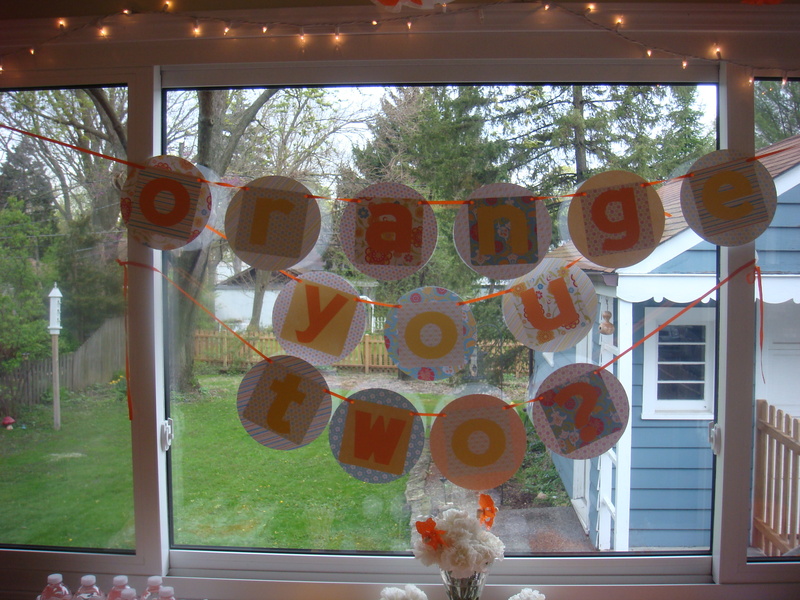 We cut the letters by hand and used various orange patterned scrapbook paper and glue and ribbon to put it together. We made tissue paper orange and white flowers, incorporated orange and white balloons, used white carnations for flowers and strived for all orange food. 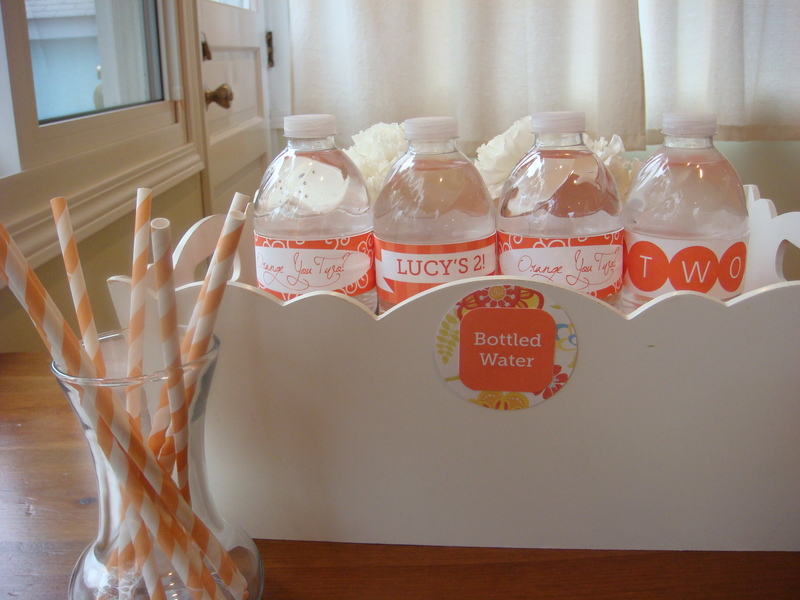 Robert designed water bottle labels and we made tiny signs for the food and stuck them in giant gumdrops. The party was a super fun success. Lucy loved the singing of the birthday song and requested a second singing. Our families all were here and the day was joyful and fun. No one ate the circus peanuts. 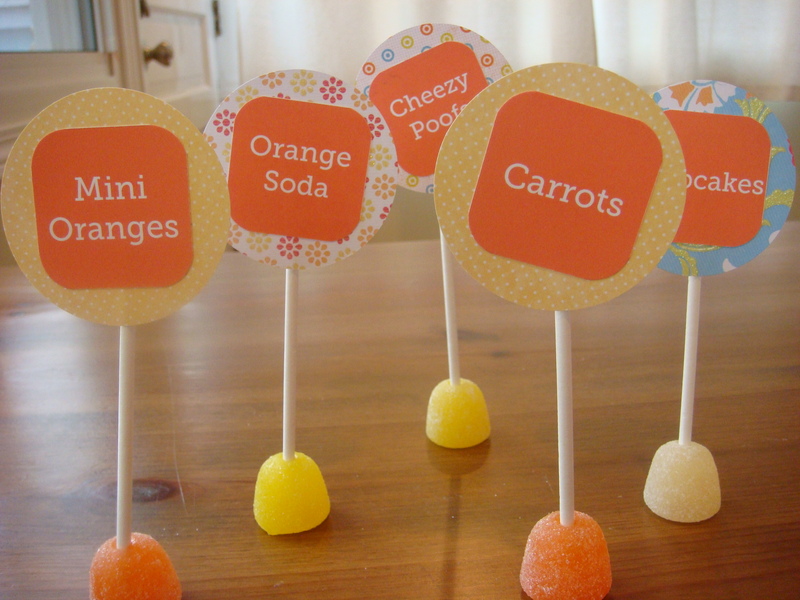 If you’re looking for an orange party, our advice is, make one yourself!